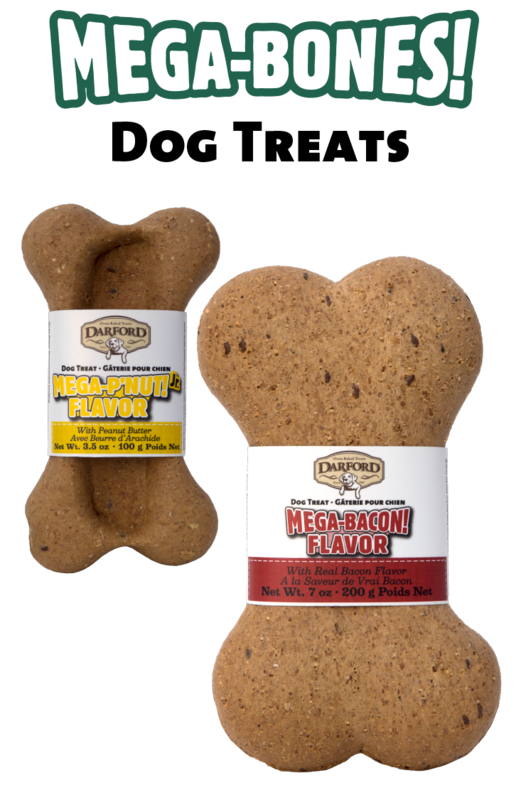 Darford has been baking premium natural dog treats since 1987, in a variety of healthy, tasty flavors. We use only the best ingredients and we follow rigorous quality control guidelines to ensure our treats are of the highest quality. We always bake our treats in our own ovens with natural ingredients. Our treats never contain corn or soy, nor do they contain artificial colors or flavors. We don't use meat by-products and we don't add salt. 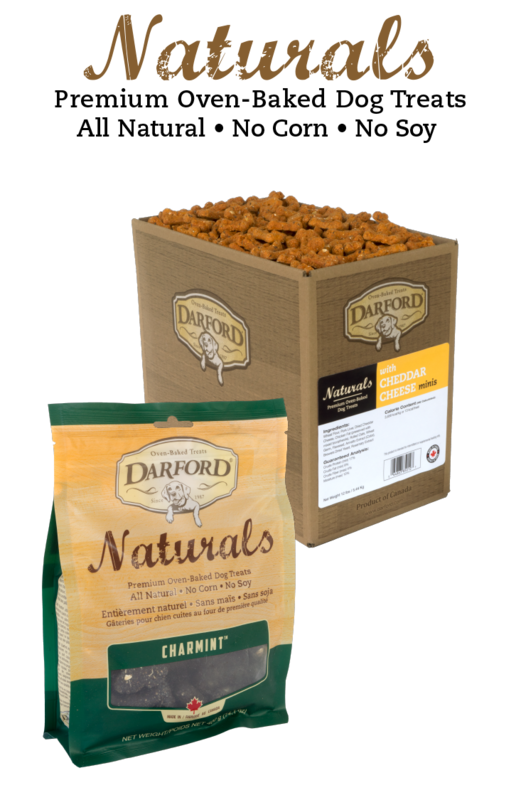 Darford treats are wholesome and healthy, and come in a range of flavors that dogs love. At Darford, our commitment to quality has never wavered. 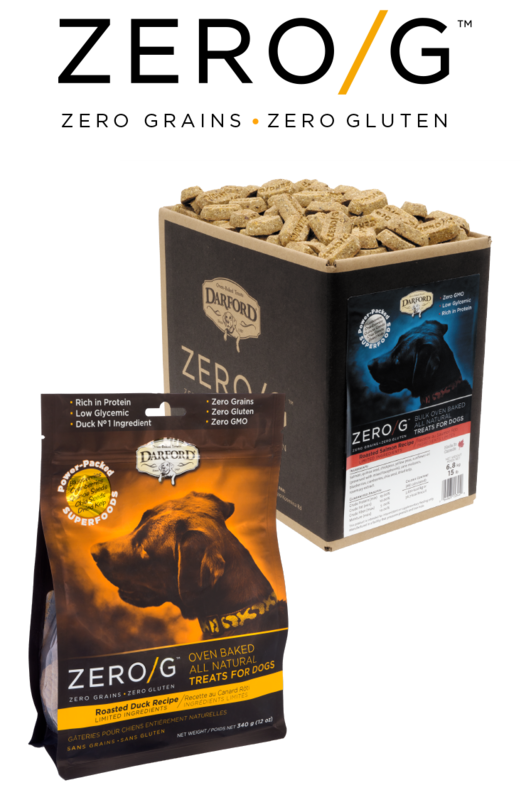 We offer premium, healthy treats, providing a level of trust you and your dog deserve. 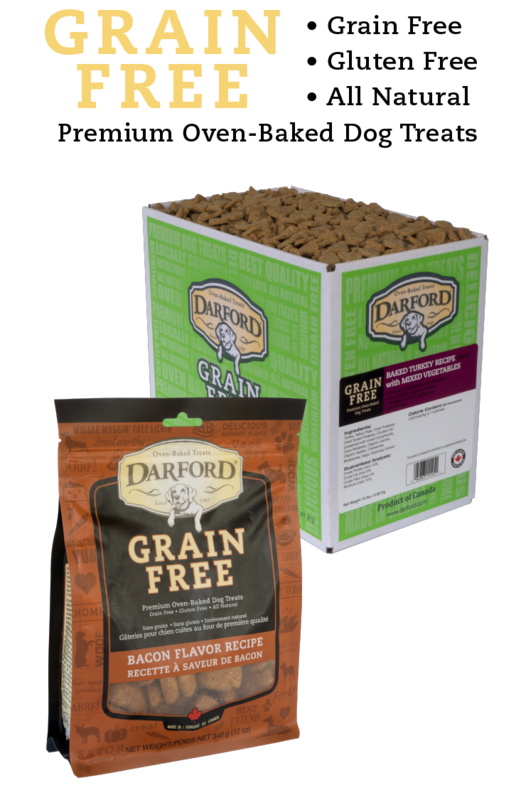 Explore our product categories to see all the great treats Darford has to offer. Go ahead, indulge. 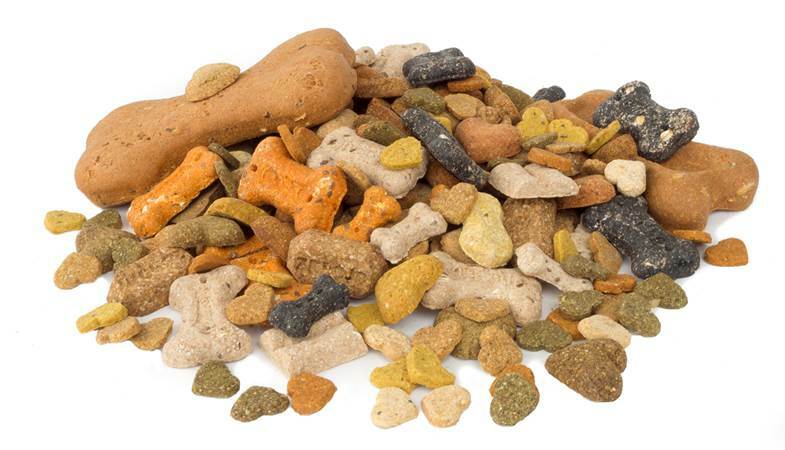 Your dog will love you for it and he won't even know our treats are good for him. We tried your treats for the first time and loved them. We live in a small town so next time in the city we will stock up. Great work!! I was recently given a bag of your Peanut Butter Grain Free dog treats, and let’s just say, my three dogs are HUGE fans! I’m ordering a couple other flavors today. Thanks for such a good product!!! Hello! We recently purchased your Mega-Cheez! Jr. bone for our yellow lab’s 7th birthday. I just wanted to say he went CRAZY over it! Thank you for making such a quality product for our dog, Tucker. Now we just have to try all the other ones! Have a great day! We’re hiring! Please send us your resume, we’d love to speak with you. We don't sell direct – but our products are available in more than 5,000 retail locations in the United States and Canada.